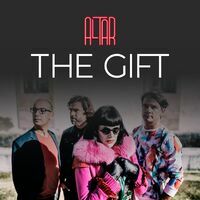 Alternative-pop quartet are back with their new album "ALTAR"
The Gift are the pioneers of the independent music industry in Portugal, where they had multiple best sellers albums and singles. ALTAR is an example of that, their most recent original album produced e co-composed by Brian Eno, mixed by Flood, that on the month of the release was top 1 for 3 weeks straight. “Altar” was edited 07 of April of 2017, being called the reference album for the quartet from Alcobaça, and called album of the year with a few singles that got a lot of attention, “Love Without Violins”, “Clinic Hope” and “Big Fish”. “Altar” has traveled all over the world, and The Gift toured around Netherlands(Eurosonic Noorderslag, Amsterdam), USA(SXSW e SummerStage in New York), Germany (Berlin), UK (Great Escape e Bush Hall, London), Spain, Brazil and many more, including Portugal that keeps his strong presence in the band. The media and the fans refer that is on stage that the band reveals their best side, through the energy, surprising and unforgettable shows that wherever they play people always want more. Ok! Do You Want Something Simple ?